With the apparent rise of Apple as the most dominant force in technology today , most tech titans were left out in the cold. From being innovators, they found themselves outdated and in most cases irrelevant. This does not preclude some of the most established names in technology like Microsoft. They were playing “catch-up” in the mobile device war as they are desperately promote new products like Windows 8 and Windows 8 phones. I am not very excited with Windows 8 but I have to give it to them, Microsoft’s OS for mobile is great. Their greatest challenge, though, is how to make consumers notice it. Apparently, Apple has already set the gameplan. If Microsoft wants to win this fight, they need to play by these rules. Which, I believe they will be planning to do in the next iteration of their operating system- Windows. Windows 8 has been out for a bit over a month and there is already talks on the Internet about the next version of Windows codenamed Blue that supposedly will come out in less than a year’s time. There are unconfirmed reports that Microsoft is planning to standardize Windows and Windows Phone updates in an effort to release updates more frequently to consumers. According to an unnamed but apparently reliable source – Microsoft may be preparing a Windows Blue release for mid-2013 which will be priced at a low cost or free. This is pretty much similar to Apple’s strategy of releasing small updates for a smaller fee. If you remember, Microsoft usually releases their OS in huge increments which comes at a higher price points than Apple’s. Remember Windows 97, Windows XP, Vista, Windows 7 and now Windows 8. I think Windows 8 is the lowest priced Microsoft Update ever. The principal idea behind the plan is to get Windows users to upgrade to the Windows Blue platform which will be the base platform for all future versions of Windows.Windows Blue will ship with its own updated SDK and it will be at that time that Microsoft will stop accepting new apps designed with Windows 8′s SDK in Windows Store. 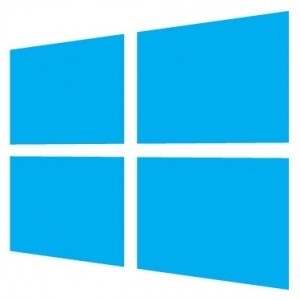 While apps are said to work under Windows 8 and Windows Blue, only apps created with Windows Blue’s SDK will be accepted in the store from that time onwards.They also plan to strengthen the security components of this new system to primarily address the issue of piracy. Microsoft will push towards a faster update cycle, possible at an annual rate, to increase the system’s competitiveness against Apple and Google operating systems that are upgraded more frequently.What does it mean for customers and developers? Customers who just bought Windows 8 face a difficult decision next year. They can either upgrade to Windows Blue to keep using the store and new apps that are released for it, or stay on Windows 8 which basically blocks them from using the store in any meaningful way after the release of Windows Blue.Developers are likely having issues with the process as well. They need to download and use a different SDK when Blue comes out and depending on whether that is just an upgrade to the existing SDK or something that is different from it, update all of the apps they develop to keep updates coming for them.Information are limited at the moment and Microsoft refused to comment when asked about it. I think it is a confusing time for Windows users as it becomes difficult to stay on top of what is happening right now. It will be interesting to see if Microsoft releases Windows Blue next year, if it will cost money, and what functionality it includes that is not part of previous systems. I believe it is time for Microsoft to come out of the blue and start dancing to Apple’s tune or risk irrelevance. Let’s see who’s gonna win.